Please note for clarity and peace of mind: When making an online payment, the details are taken and processed via a trusted third party website. The payment is secure via encryption on their secure site (you will see a 'lock' sign against the request for your card details) and no card details are kept by us or them due to security. We, nor our own website handle any of the payments made. 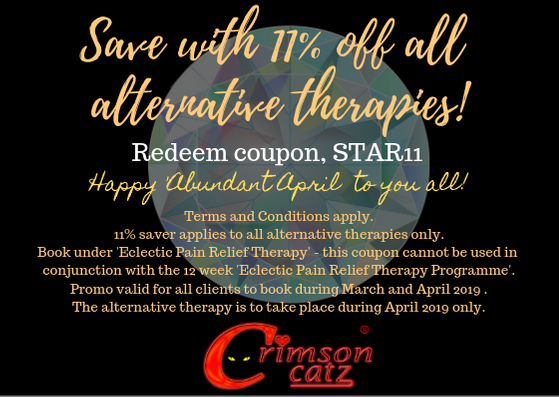 Alternative therapies can be scheduled under 'Eclectic Therapies', thanks, Crimson Catz.